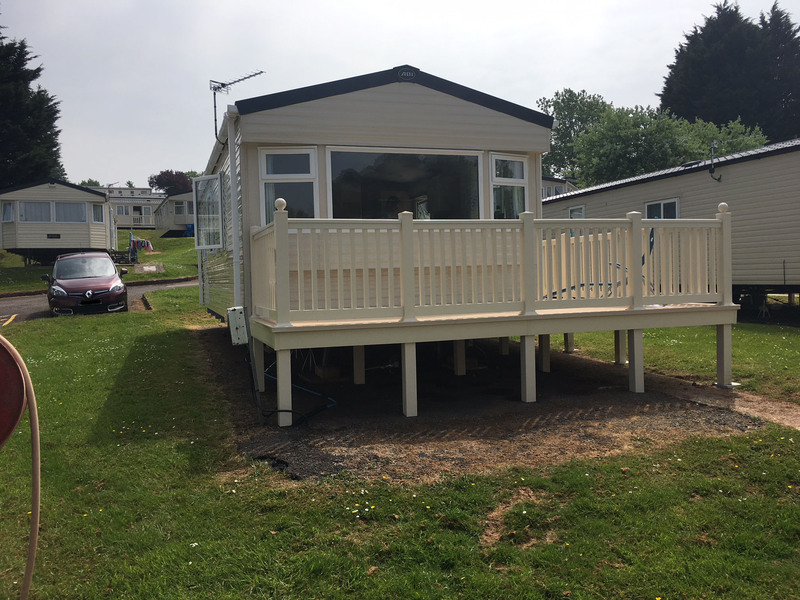 This new bright two Bedroom Holiday Home measures 32ft. 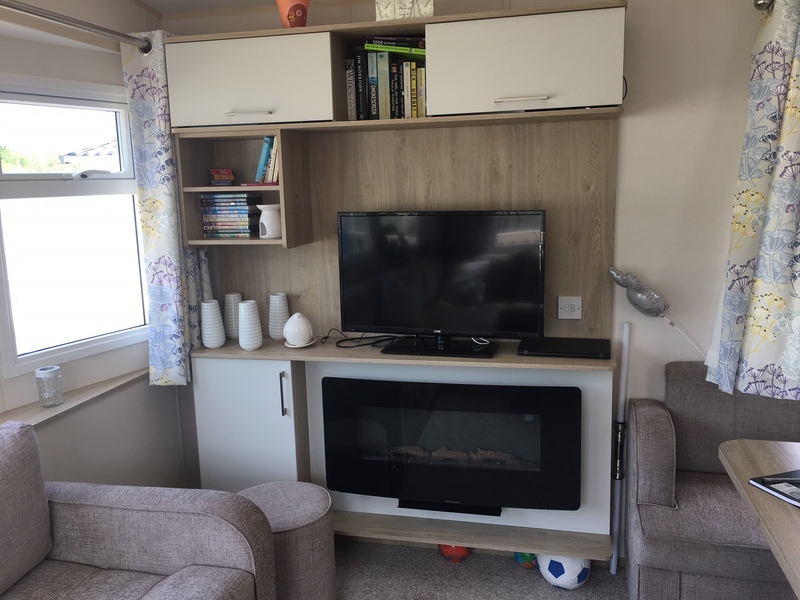 x 10 ft. Sleeps 4/6 people and is ideal for a the smaller Family or couple. 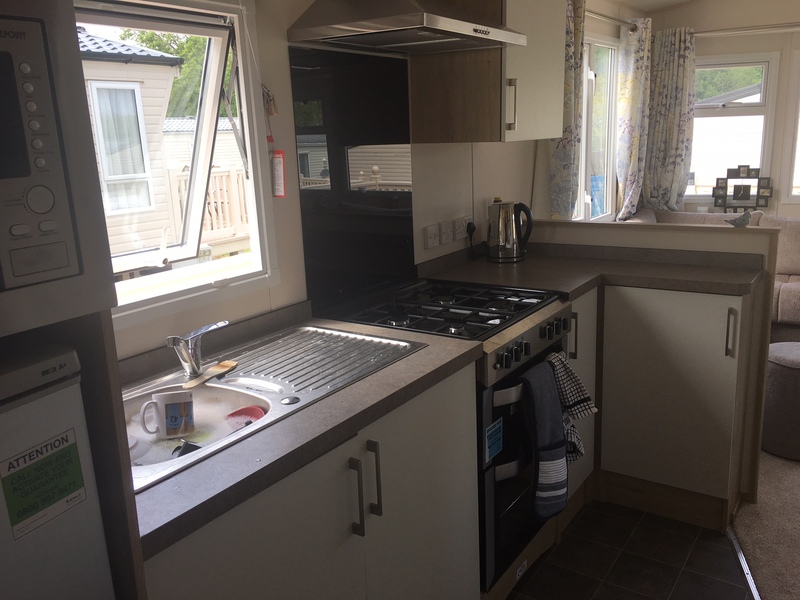 For those preferring a quieter relaxed location K13 is situated on a level area of the Park and comes with a large Sundeck complete with patio Furniture and giving good views of the Nature Lake and Clennon woods. Car Parking is available to the rear of this Caravan. 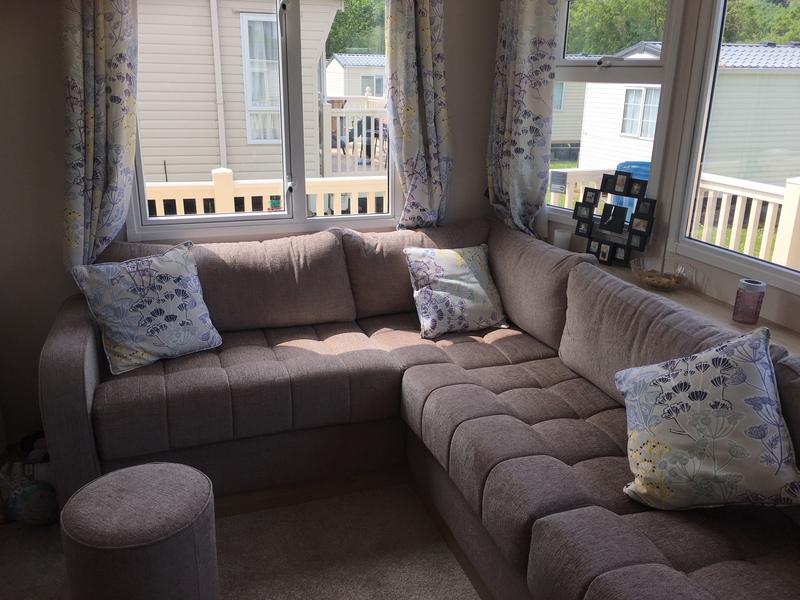 TThe light airy lounge boasts a comfortable wrap around Sofa ideal for stretching tired legs and a flame effect Fire. Entertainment is provided by a large Flat screen TV with Free view and DVD player. The Dining area boasts aa separate corner sofa and stools. 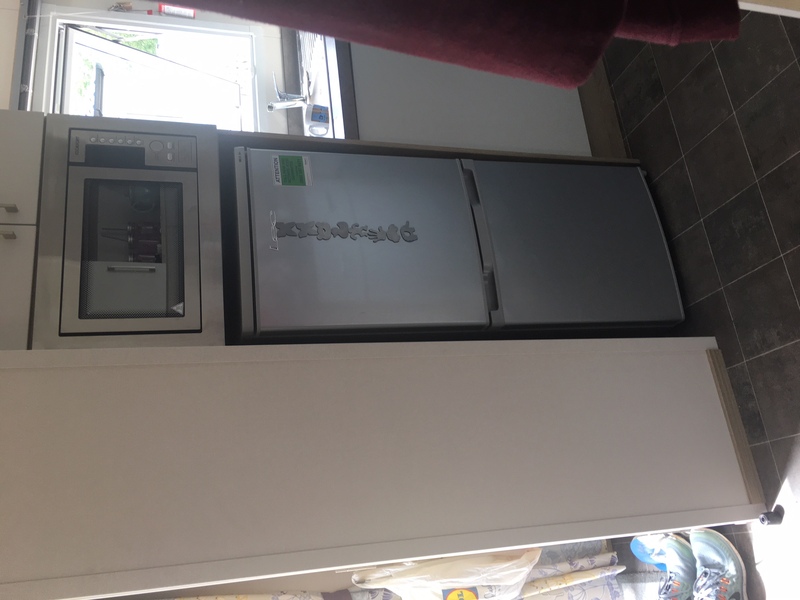 The fully fitted Gallery kitchen boasts Kitchen Units, Oven, Grill & Hob, an full size Fridge Freezer, microwave, kettle, toaster and full range of utensils, cutlery and crockery. This contains a full size shower cubicle, toilet, hand basin, mirror. 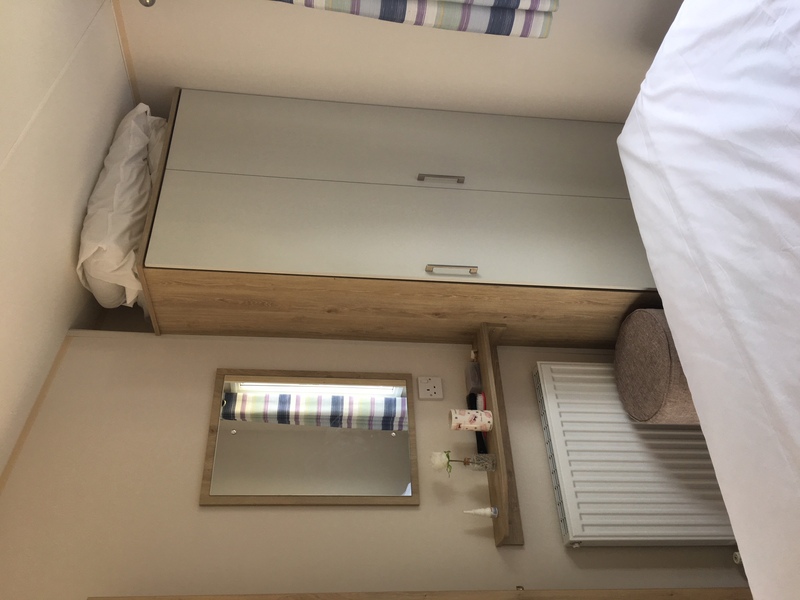 This bedroom has a full size double bed, wardrobe, vanity unit. Up lighters are situated over the bed. The Flat Screen TV with Freeview. 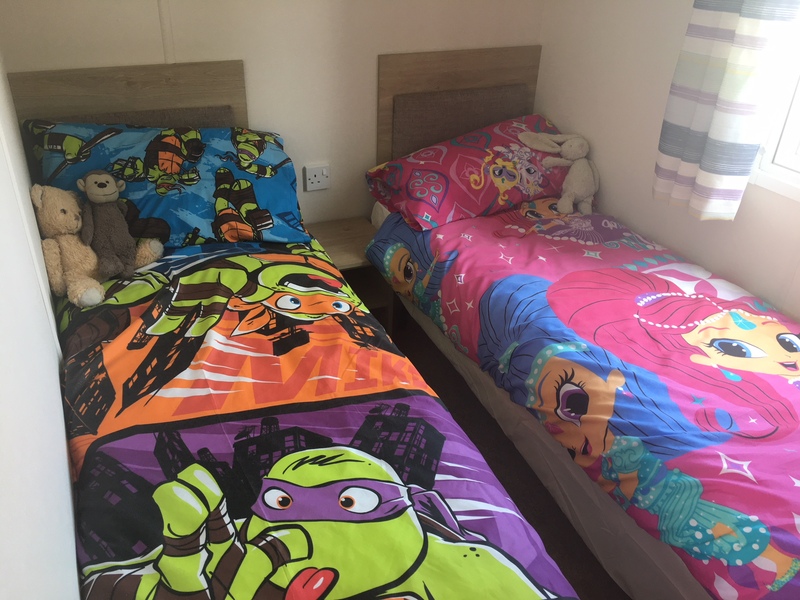 1 Double Duvet and 4 Pillows are supplied as standard for this bedroome. 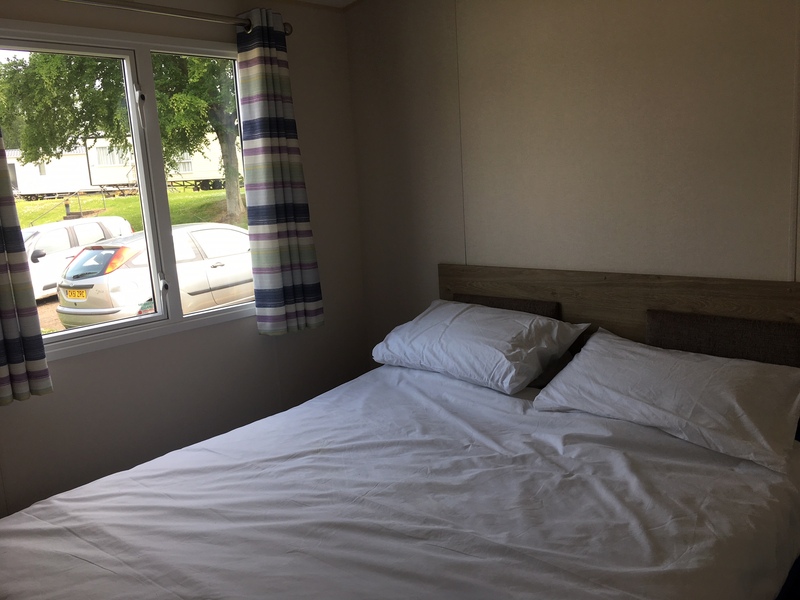 This has twin single beds, wardrobes, 2 Single Duvets and 4 Pillows are supplied as standard for the Twin Bedroom. 1 Double Duvet and Four Pillows are provided as standard for this bed. 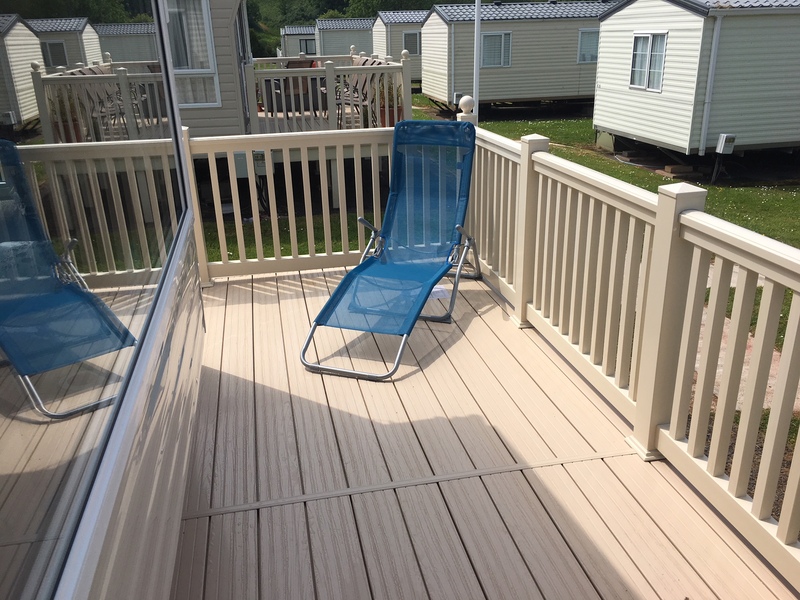 Bed Linen Hire up to a maximum of 2 double packs and 2 Single Packs is included in the price of this Caravan.